Six units were affected and as many as 11 people were displaced by the May 19 fire in Beaverton. 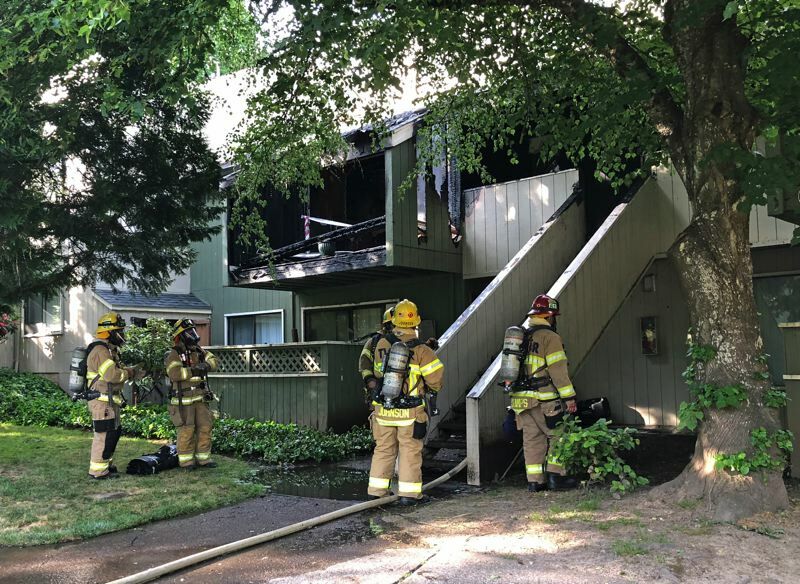 Six apartments were damaged by fire over the weekend at the Redwood Creek Apartments, in the 12100 block of Southwest Walden Lane, Beaverton. The first 911 call arrived around 5:15 p.m. Saturday, May 19, reporting smoke and flames coming from a second-story apartment. Firefighters from Tualatin Valley Fire & Rescue saw fire in two apartments and called in a second alarm. One crew fought the fire while another team searched the apartments, looking for people and pets. Firefighters extinguished the blaze in the immediately effected apartments, then vented the attic through the roof, gaining interior access through the ceiling, to get the fire under control. One person was evaluated by medical personnel at the scene but was released with minor injuries. Four apartments experienced fire damage and two others sustained smoke and water damage. The American Red Cross said it was assisting 11 people and several pets with lodging, food and other needs. Firefighters have no damage estimate yet.